Learn how to start and get money from blogs, free websites, internet & affiliate marketing, social media & YouTube, SEO, etc. How easy is it to start a blog? This is a step-by-step instruction to learn how you can start a blog in a couple of minutes. 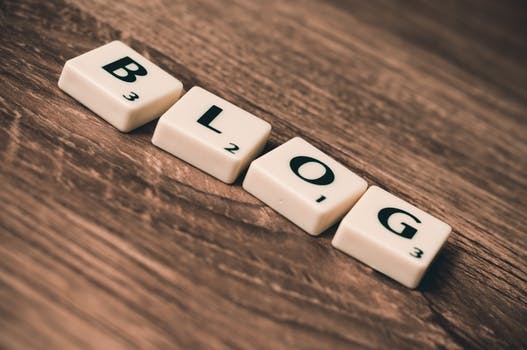 Blogging is a platform that has put money into pockets of many people who choose to monetize their blogs (Make money from their Blogs) and has also provided pleasure for those who blog for it. We were not lucky enough to have a guild like this so we have taken it upon ourselves to make sure you do not go through the stress we went through. Just go through the article carefully and you will be able to have your blog up and running in a couple of minutes. 1. Choose a blogging platform, domain name, and hosting option. 2. Design your blog using a simple theme. 3. Modify your blog to look the way you desire. 4. Select the best plugins for your blog (especially for wordpress). 5. Write quality content that adds value to your readers. After you have decided on the niche (topic or category) of your blog, you can go ahead and start it. How do I Decide what to Blog About? Starting a blog can be every easy or complicated depending on how prepared you are. When we wanted to start this blog, we had no idea how to go about it. Many hours of researching on the internet and chatting with existing bloggers helped us to start our blog. Since the processes were many, we have decided to trim them down for you. Don’t panic if you don’t know anything about website design. Blogging platforms have provided easy –to-use templates and some even have drag-and-drop functionality to make the whole design process easy for you. 1. Blogging platform, Domain and Hosting. The very first thing you need to do after reading the books and webinars on blogging is to get yourself a domain name and a hosting plan. There are different domain name registrars which provide different services and hosting plans which you can choose from. After you have decided on the domain name (web address) you want for your website you should choose a domain registrar that can give you security, flexibility and good pricing. For more information on getting a domain name, click here . 2. Theme. Choosing a good theme for your blog is very important. A good theme gives you the look and feel you want for your blog, allowing you to make a blog that looks exactly how you want it to look. If you don’t know how to code a website or design a website by yourself (I can, but I did not employ it on this blog), then a theme makes the design work very easy for you. 3. Modify Your Blog. After getting our domain, hosting and theme were taken care of by Google blogger. (yes you can just buy a domain name and set up your blog hosting with Google for free). Getting our blog to look the way we wanted took a lot of tweaking in the free themes provided by Google. Note that you can always change your theme at any time if you are hosting your blog with blogger if you do not like the one you are using. Once we had created our blog, we set up a free Feedburner account so people could subscribe to our site via email and RSS subscriptions. And then we established a free Google Analytics account to track our stats. Feedburner and Google Analytics were both easy to sign up for, and we still use both today. 4. Plugins. We are currently using only a few plugins on our site: “Google Analytics” and simple Facebook, Google+ and Twitter share-button plugins (those plugins are very important since almost everybody is on social media now and the social media is a very important tool you can use to share your posts and in return, get many visitors to your blog which can result in many subscribers). 5. Write quality Content. This is the final stage of blog set up. After we were through with all the above stages, we started writing and uploading the content for our pages: About Page, Contact Page. We then started writing new blog posts and publishing them regularly (at least once a week), we also designed some photos and got ourselves free photos from Unsplash, Pexels, and the. Remember to uses picture that has no copyright infringements if you are planning on monitising yourblog. Plesase leave a Comment in the section below and Subscribe to get our Latest posts. You can also share this post on your social media. make this particular publish incredible. Magnificent job! such topics. To the next! Many thanks!! webb site as a most excellent wеb ρage for most reⅽent updates.